SNAFU! 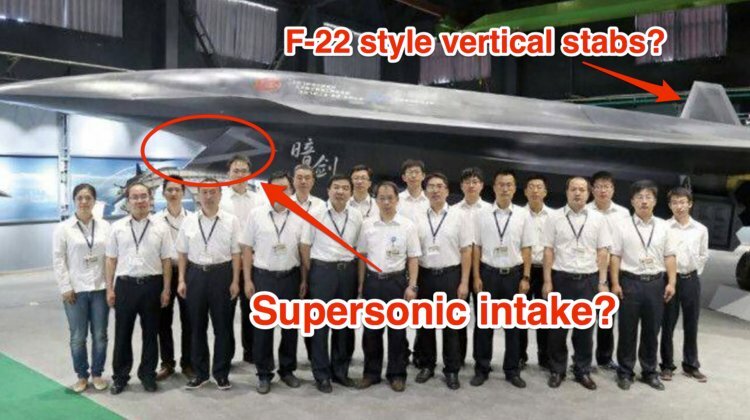 : China's Dark Sword Stealth FIghter that's a UAV! China's Dark Sword Stealth FIghter that's a UAV! Justin Bronk, an air-combat expert at the Royal United Services Institute, said the Dark Sword "represents a very different design philosophy" than US unmanned combat jet plans. Thanks F-35, F-35 Mafia, Lockheed Martin, Generals on the payroll and the rest of the traitors in our midst. For the sake of one underperforming airplane you're letting it all slip away. This might be vapor ware. It might be nothing but a concept that they're working on. But they're obviously working on something and if this comes to fruition, while we're chasing concepts with no bearing on reality the Chinese are coming thru the wire to slit our proverbial throats. The time for fantasy, politics, greed, arrogance and every other vice is long over. It's time to get serious about the defense of our nation and the defense of the West. Love them or hate them, the Chinese are hard, motivated and smart. We either match their tenacity or learn to speak Mandarin while they take over the Pacific.